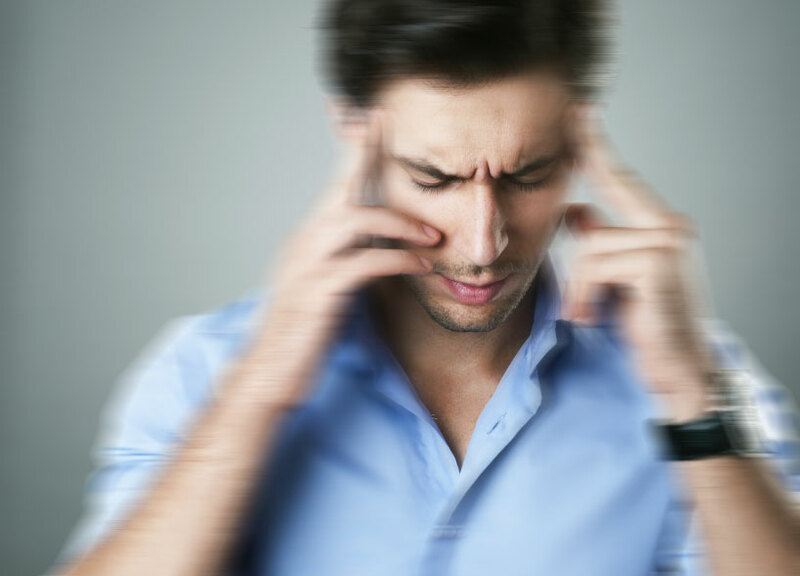 What Causes Blurred Vision, Fatigue & Dizziness? You are in the middle of doing something, then suddenly you have to stop - you feel that the world is spinning around you and everything in your surrounding seems blurry. You feel so tired and exhausted as if you’ve carried 50kilograms of grocery items or ran 5 kilometers. Are these symptoms normal or do you need to worry when you experience them? Know what could attribute to them and what you can do for the condition. What Causes Blurred Vision, Dizziness & Fatigue? Our body needs quality amount of sleep to function properly. You will be considered sleep deprived if you’re getting less sleep than needed in order to feel alert and awake. Excessive daytime sleepiness is the main symptoms of ongoing sleep loss. Other symptoms include being moody, yawning, irritability, fatigue, having problems learning new things, blurred vision, forgetfulness, problem concentrating, clumsiness, lack of motivation and libido, dizziness, and increase cravings of carbohydrates. Treatment of sleep deprivation is basically getting enough sleep and to get a “pay back” on the accumulated sleep debt. All of the negative effects caused by being sleep deprived will be reversed when you get enough sleep. This condition happens when the body losses more body fluids, mostly water, than the amount that is taken in through drinking. This loss of body fluids can inhibit your body’s ability to function normally. Too little or no urine output at all. Urine is concentrated and amber or deep yellow. Mild and moderate dehydration can be treated with home remedies such as drinking water and sports drink to replace lost nutrients, removing excess clothing and cooling down the body. Severe dehydration requires medical treatment such as hospitalization and IV to replace lost fluids. Cocaine withdrawal occurs when people with heavy cocaine dependent totally quit taking this drug. When using this drug is completely stopped, a person experiences many symptoms immediately which is accompanied with a stronger crave for cocaine. Initial symptoms may include fatigue and depression, restless behavior and agitation, increased appetite, having unpleasant and vivid dreams. Some people may even have suicidal thoughts. The cravings and depression remain powerful and last for several months following the withdrawal. Withdrawal from any chronic substance abuse is never an easy path as there is a risk of overdose or suicide. Almost 50% of cocaine addict also have a mental disorder and it’s important to be treated. Having a strong support group is a must to get through this phase. This condition occurs when the labyrinth or the inner ear structure is inflamed. It also refers to other inner ear problems that produce similar symptoms yet no inflammation is occurring. The most common symptoms are blurred vision, dizziness, fatigue and loss of balance. Other signs include a rushing or ringing noise called Tinnitus, mild headache and loss of hearing. These symptoms are often becoming worse when you move your head, roll over, sit up or look upward. This eye disease is caused by the rise of fluid pressure within the eye and is often the cause of irreversible blindness in the world. Patients with primary open-angle glaucoma exhibited a gradual loss of peripheral vision which affects both eyes. Patients in the advanced stage may have tunnel vision. Symptoms of closed angle glaucoma include blurred vision, severe eye pain that is accompanied with vomiting and nausea, red eyes, seeing extra halo-like glows around lights and unexpected problems with vision, especially when there’s a poor lighting. Treatment involves either reducing the production of fluid from the eye, improving its flow, or both. Pulmonary tuberculosis is a highly contagious disease that attacks your lungs. Common signs and symptoms include blurred vision, dizziness, fatigue, a recurring cough and sometimes a presence of blood, night sweats and chest pains, recurring low-grade fever and drastic weight loss. Doctors prescribe several medicines to patients with pulmonary TB and this medication lasts for six months or longer for best results. This condition is caused by abnormal growths of cells in the brain. Symptoms are often caused by the pressure due to the tumor on the brain. Common signs and symptoms are headache which often occurs in the early morning, weakness of the muscles, clumsiness, fatigue of arms and legs, seizures, change in mental function, vision abnormalities, difficulty speaking and gradual change in emotional or intellectual capacity. Though treatment varies per patient, radiation, surgery and chemotherapy are the main types of treatment. The main function of kidney is to remove excess water and wastes from our body. Chronic kidney disease is a gradual loss of kidney function over time. Initial symptoms include headache, loss of appetite, fatigue and general ill feeling, nausea, weight loss, dry and itchy skin. As the disease advances, symptoms include bone pain, problem with thinking or concentration, excessive thirst, shortness of breath, vomiting, swelling or numbness in the hands and feet and blood in the stool. It is important to control the blood pressure in order to slow down further kidney damage. Other treatments include medicines to prevent high phosphorous levels, extra iron, calcium and vitamin D.
Always listen to your body and seek medical attention immediately as soon as you experience any negative symptoms. Prevention and early diagnosis are keys to having a long and healthy life.